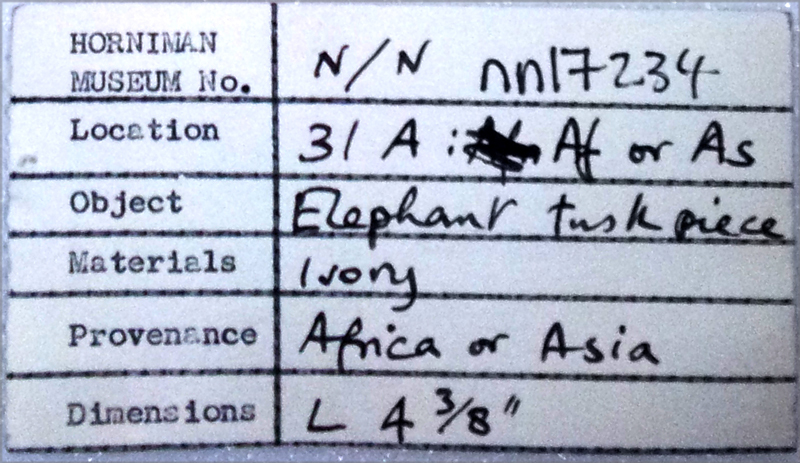 I thought it might be a bit of a challenge as it had originally been misidentified as a piece of elephant tusk by someone in the museum, many years ago, so it was obviously not a straight-forward identification. However, these lines aren’t always visible and it will depend on the angle of the cut of the tusk and the angle and intensity of the light. 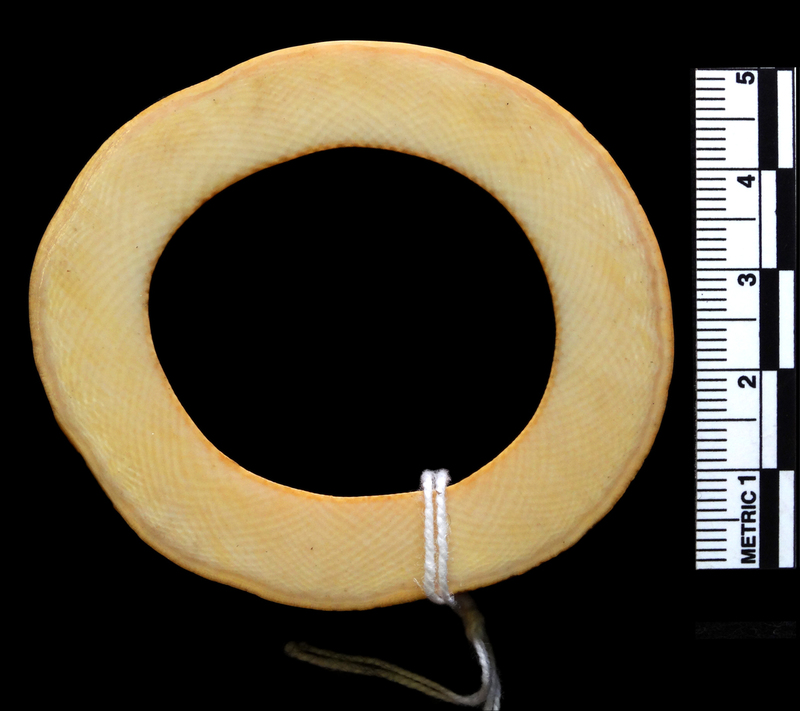 Instead, the mystery object has a very rounded edge and no clear structure. This suggests to me that it’s horn that has been treated with heat to mould it into shape (keratin that makes horn and hair has thermoplastic properties, which is why hair straighteners work). 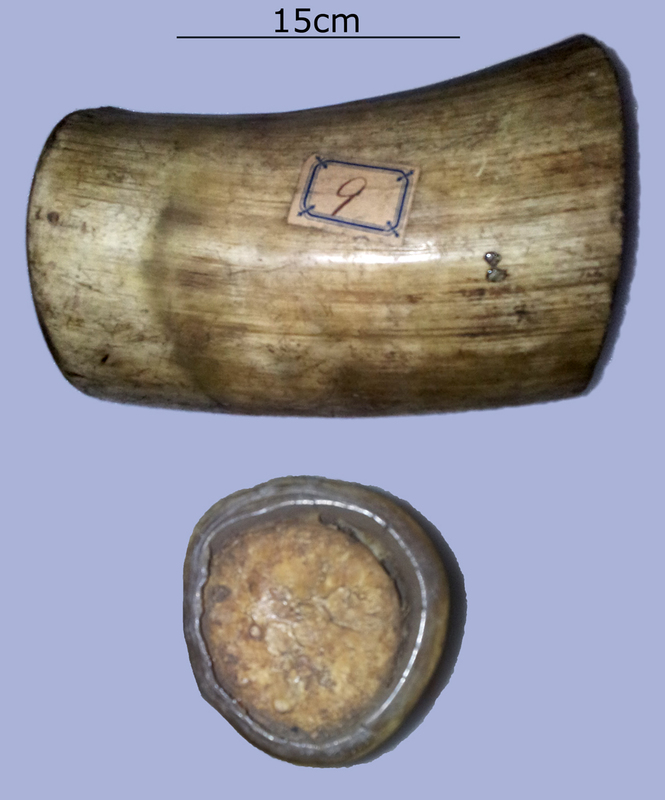 So what this mystery object appears to be is a piece of bovine horn – probably cow – that has been melted and shaped at one end to form a cup. 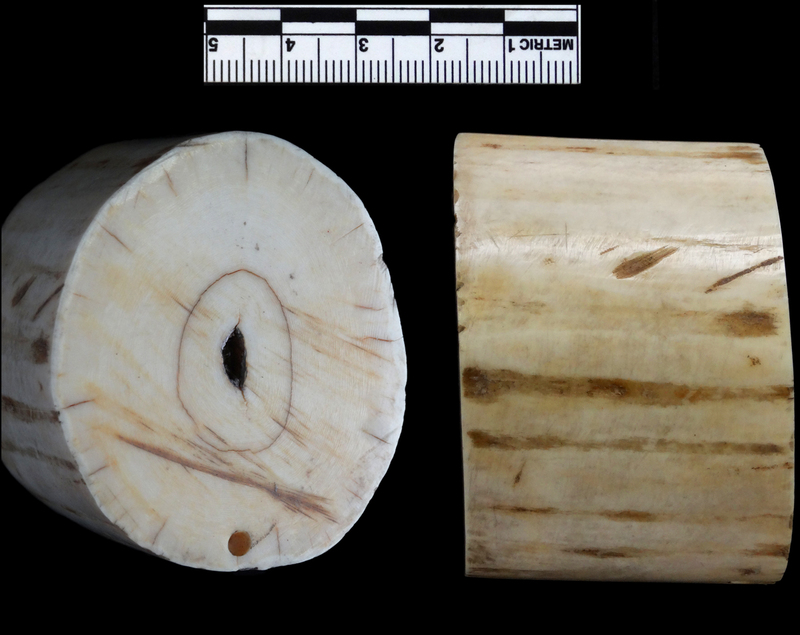 The superficial similarity to elephant tusk may or may not have been accidental, after all, elephant ivory is a much sought after material. ← International Museum Day: why are museums important? Very interesting! Now if only we could have felt and smelled the object via the interwebs . . .
That would be the gold standard! It’s why digital images will never be as good as real objects.